It is a story we hear quite often- My car wouldn't start, so I replaced my battery and everything was fine again...for a while. 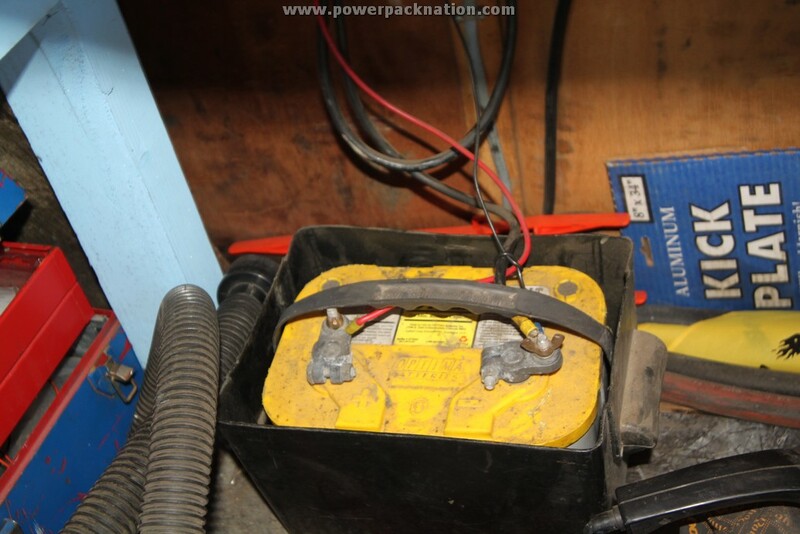 Unfortunately, replacing a battery isn't always the solution to electrical issues with vehicles. The battery cable connection on this vehicle obviously needs to be replaced or at least hit with anti-seize lubricant. After all, it's being held in place with electrical wire. However, what did the owner elect to do instead? Do you noticed how shiny the battery terminal is and how clean the battery appears to be? It seems pretty obvious that the owner of this vehicle decided the solution to their issues was not to repair or replace their battery cable, but to replace the battery itself. 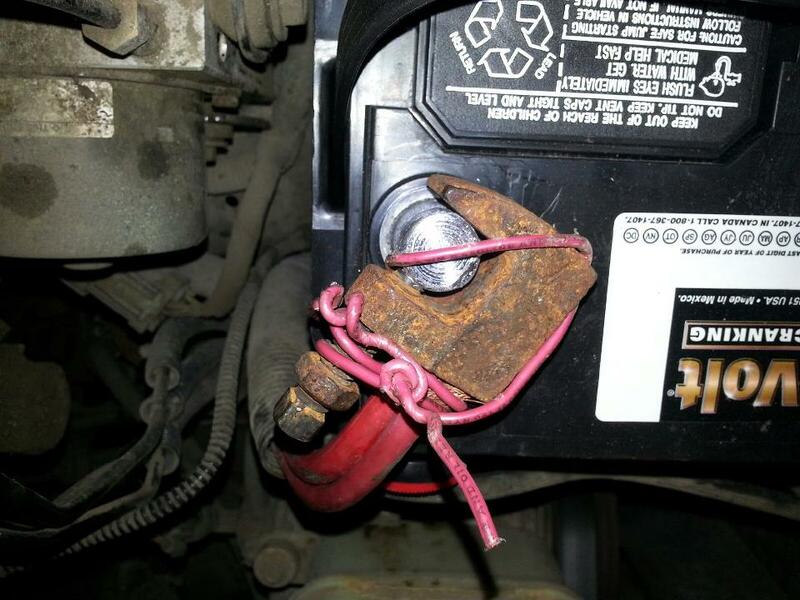 This solution may last for a while, but as the vehicle drives down the road, goes over bumps and weight shifts around, this cable will likely become loose again and when it does, the battery may end up discharging again, just as the one before it probably did. Perhaps this was done, because they needed a quick fix and didn't have the time or skill necessary to replace the cable? Perhaps it was done because the previous battery was under warranty and the replacement was free? Whatever the reason, an obvious problem still remains. At some point, people need to put a value on their time. For folks who get paid by the hour, that is easy to do, because that is how much someone else values their time. Even if someone only makes minimum wage- $7.25/hour, it won't take long for the time spent dealing with car trouble related to a bad battery cable to add up to the price of a new cable. If you'd like to see more automotive nightmares and miscues, be sure to check out Just Rolled Into the Shop on Reddit. How Often Do You Need a New Car Battery?